Halloween for me is a take-it-or-leave-it kind of "holiday." There's so much controversy over it, I could chuck it and be fine. 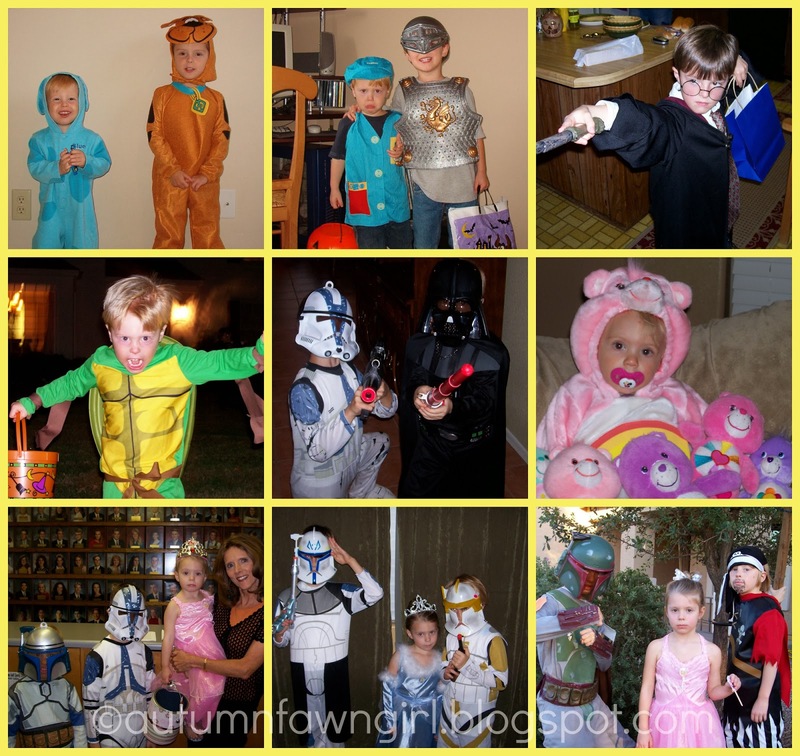 However, my husband and I have let our kids dress up over the years, collect as much candy as possible (so they wouldn't notice when mom and dad "borrowed" some), and participate in church harvest festivals. This year, our church is putting on its very first harvest festival, and it is our hope that we will be harvesting more important things besides candy! 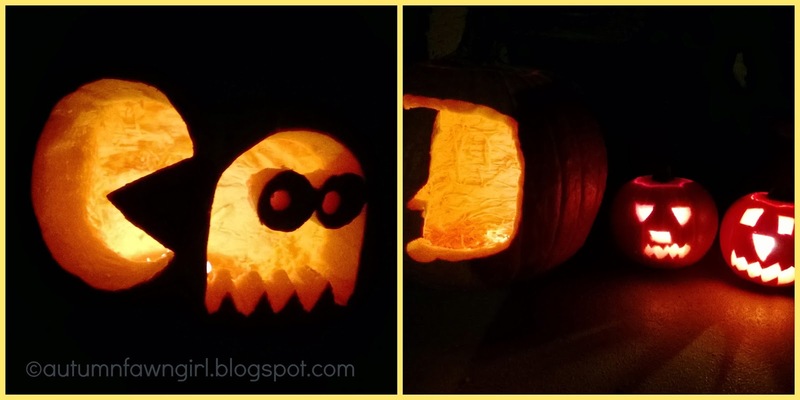 I did share some of my feelings in this post on Halloween a while back. I completely respect and understand anyone who chooses to have absolutely nothing to do with Halloween because there is so much evil that seems to be encouraged and celebrated on this day. The actual name, Halloween, isn't really evil in and of itself, though. Hallow means "to make holy." Some synonyms are sanctify, bless, and consecrate. The een part of Halloween is the contraction e'en for the word evening. So, I guess literally speaking, it means "to make holy evening." I think All Hallows Eve was the day before the day set aside to remember the dead, specifically saints, martyrs, and other deceased Christians. Anyway, as believers, we have sort of been forced to make a big to-do over the whole thing. My take is this: Halloween should be no different than any other day for us, and we should all strive to "whether in word or deed, do all in the name of the Lord Jesus, giving thanks to God the Father through him." (Colossians 3:17) Mind you, I am not perfect on this day nor any other day. We don't always get it just right. We mess up. This year, I do feel confident that God would have us help out with our church's first harvest festival. I have no doubt whatsoever that our pastor's and the rest of our congregation's heart is that the lost would be saved. Now to the Halloween Flashback part . . . It's kind of been a rule that our kids have had to choose costumes that wouldn't frighten other children. Hmmm, maybe Darth Vader is pushing it? And one kid in particular came out of the bathroom one Halloween evening dressed as a zombie. Rarely do things go unnoticed by me, but I have to admit on this one that I was clueless. Mama wasn't thrilled, but I will leave it at that. And now that I am looking back, wow, maybe a pirate wasn't the best option either. Seriously, not all pirates were like Lyle the Kindly Viking, right?! Even fairies have evil roots, though I have to say my little fairy looks far too innocent and beautiful. ;) If I am completely honest, I even think it would be fun to dress up as someone "bad." I'd make a good witch with my straight nose and pointy chin. If I called myself the Witch of Endor, I wonder if that would be okay since she is a character in the Bible? Okay, I am rambling. I will get on with Halloween Flashback . . . 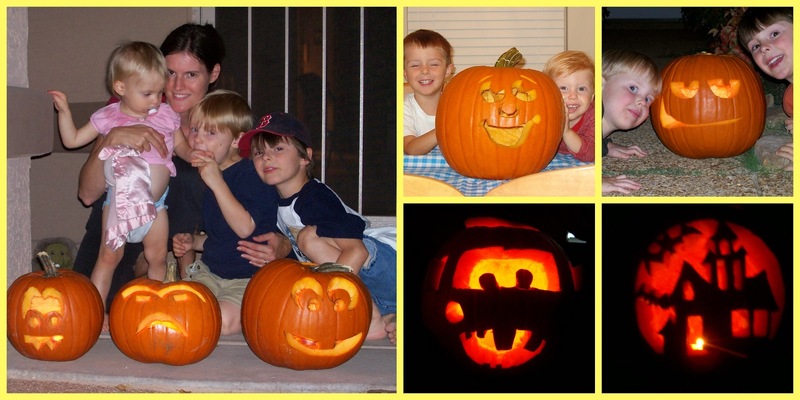 I know we carved way more pumpkins than these over the years, but I just couldn't seem to find the pics. Oh well. This year Mullin carved his own pumpkin - a profile. Any guesses as to who it turned out to be? Lincoln carved Shiloh's little pumpkins for her, and Dad carved a pumpkin, too, while I cleaned up dinner and washed pumpkin seeds. What an insightful post. I struggle a lot with halloween. My husband loves the costumes and socializing with the neighbors that happens during trick or treat. I'd rather have nothing to do with the holiday at all especially because of the horrible, terrifying decorations a lot of people put up. Your approach is right on target. I have to remember this is just another day to live as a servant of Christ. Best of luck with your harvest carnival, I will keep you all in my prayers.